The Amazing Johnathan, who holds the record as the longest-running comic magician in Las Vegas history, welcomes you to “Burn Unit”. 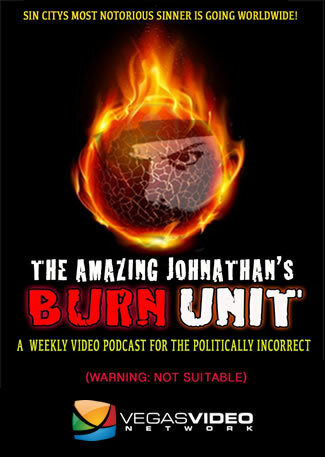 Burn Unit features interviews with his friends in the local entertainment community and many of the celebrities who find themselves in Las Vegas. 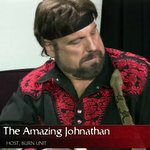 The Amazing Johnathan also teaches the show’s viewers his favorite pranks, practical jokes and magic effects that can be used in everyday life. Here’s the PRESS RELEASE announcing the show. Check our Online Schedule for the launch date and time of this show. 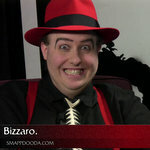 Have a question for The Amazing Johnathan? Want to hear your question “on the air”? Viewing Options (Watch on the website or subscribe via iTunes or your RSS reader).